The history of photography in South Asia is a story of itinerant practitioners, seeking to expand the eye of the lens by exposure to the farthest corners of the world. Though Ceylon came under the British rule only in 1850, it followed the maritime expansion of the Portuguese, the Dutch, Danes and the French- the first of which identified it in their sea-charts as Zeilon, from which the modern name Ceylon was derived and maintained till 1972. An upsurge of industrialization and a plantation boom in the 19th century framed the country as a repository of natural resources, and its people as ‘natives’ in an antique land. The documentation of the cities of Kandy and Colombo, the architecture of Anuradhapura, and the portraiture of a predominantly Buddhist community therefore mark a preliminary survey of the hinterland. However, upon keener review of the images, the passageway of traders, troopes and priests fuses Ceylon with a composite identity, which enabled commercial photo firms such as Plâté & Co., Skeen & Co. and Scowen & Co., to resounding success. Featuring vintage photographs drawn primarily from the Alkazi Collection of Photography, this publication takes its viewers through a visual mapping of sites as well as tropes and themes emerging from early photography via diverse mediums of production such as albums, illustrated books and postcards. These traces remain foundational in generating an imagistic canon that etched the life of a swiftly transforming country, as did the coming of a modern pictorial language instituted by Lionel Wendt, the art photographer and patron. Wendt, some of whose eclectic and experimental works are included here from the Sansoni Collection, shifts a linear reading of colonial imagery by volunteering a unique cultural expression in the early 20th century. Hence this initiative is a tribute to the assorted histories of visualization predominant in the isle across, further re-framing India’s own relationship to the frontiers through surviving archives. Ismeth Raheem is an architect by profession and is based in Colombo. His chief interest is in the visual arts of Sri Lanka’s colonial period. He has extensively written on the history of photography, painting and print-making in Sri Lanka. 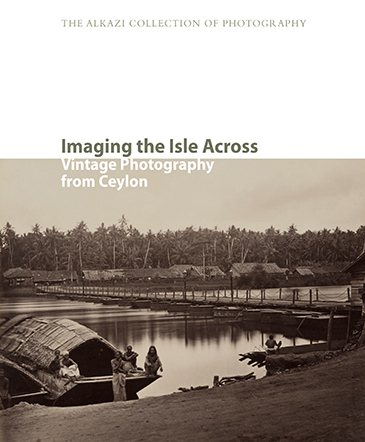 He has authored Images of British Ceylon: Nineteenth Century Photography of Sri Lanka and Archaeology and Photography:The EarlyYears 1868-1880. He has also written on the Dutch Burghers of Sri Lanka, Furniture from the Colonial Period and on the natural history of the region. Jennifer viagra for men free samples Chowdhry Biswas is a Research Scholar at the Alkazi Foundation for the Arts. She has done Masters in Museology from the National Museum Institute, New Delhi. Prior to this she did her internship at the Asian Civilizations Museum, Singapore and worked for the Mehrangarh Museum Trust, Jodhpur, Rajasthan. Ayesha Matthan is a Research Scholar at the Alkazi Foundation for the Arts. Her MPhil thesis awarded by the School of Arts and Aesthetics, Jawaharlal Nehru University, New Delhi, was titled “From Courts,Studios to Bazaars: A Visual History of the Tawai’f in Colonial North India”. Her research interests include gender, class and artistic production in colonial India. She was a recipient of the Brooks International Fellowship with Tate Britain in collaboration with Delfina Foundation, London in 2014. Dr Annamaria Motrescu-Mayes is an Affiliated Lecturer of ‘Visual and digital anthropology of new media’. She is also designing new visual teaching resources in collaboration with the Azim Premji University and Foundation (Bangalore, IN) and the Indian National Council of Educational Research and Training, and teaches course on ‘Visual language and historical studies’ and ‘Visual anthropology and theories of self-representation’ at the Sichuan University (Chengdu,CN). Motrescu-Mayesisalsothe founder of the Amateur Cinema Studies Network.